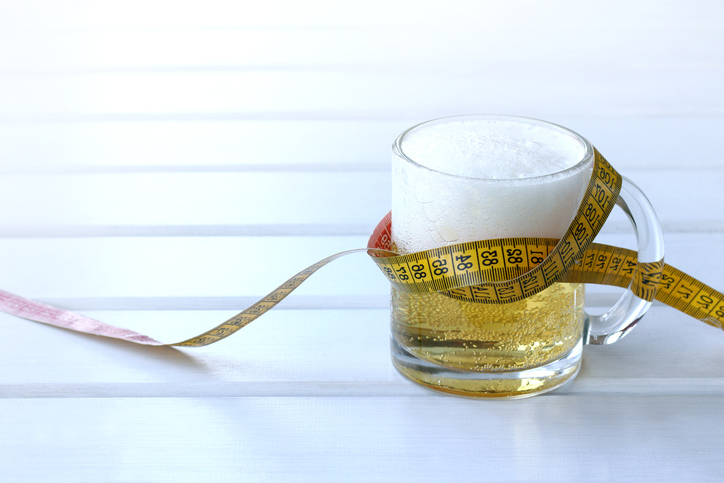 Home » News » Alcohol Addiction » Does Alcohol Abuse Affect Your Weight? There is no straightforward answer to the question of does alcohol abuse affect your weight. This is because not everyone who abuses alcohol is overweight. However, there are links between drinking alcohol and putting on weight -some links are direct and some indirect. Alcohol causes you to put more weight on simply because it has calories. And it’s not just the calories from the alcohol contained in your drink – there are calories in the extra ingredients that are added to your alcohol drinks like additives and sugar. Alcohol calories are empty calories. That means that they can encourage weight gain although they have no nutritional value. If you drink more alcohol than you should be drinking, your liver turns that alcohol into fat. Your liver then send that fat into your bloodstream which is more likely to mean that that fat will be stored on your body – in other words, weight gain. Are you a woman and do you have more than four drinks on a daily basis? If so, the NHS classes you as a heavy drinker. If you’re a heavy drinker, statistics show that you’re forty-one percent more likely, if you’re currently at a healthy weight, to become overweight. If your doctor has warned you that your current weight means that you’re obese, being a heavy drinker makes you much more likely to not be able to shift the weight off so that you’re no longer obese. There’s also a much greater chance that you might put even more weight on. In addition to the calories provided from the alcoholic beverage, there is another way that alcohol contributes to weight gain. Alcohol makes you feel hungry (even had the munchies after a night out?) and the type of food we eat when we’ve one or more too many is not normally healthy and nutritious food. You’re just going to want something that’s quick, affordable, and tasty – fat and salt contents won’t be the two most important factors in judging what you’re going to have to satiate your alcohol-fuelled hunger. Does alcohol abuse disrupt nutrition? When someone drinks alcohol, it can make the body feel full and this may prompt a person to eat less. They are unlikely to select healthy food choices and will often crave foods that are high in fats and sugars and low nutritional value. 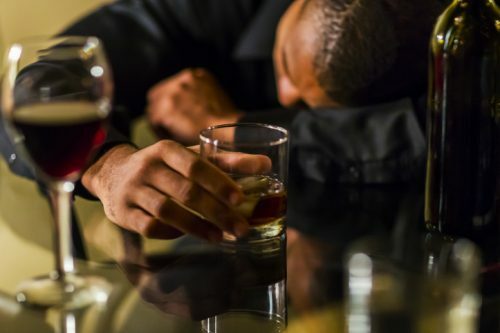 Alcohol dependence can also cause a person to become inactive. 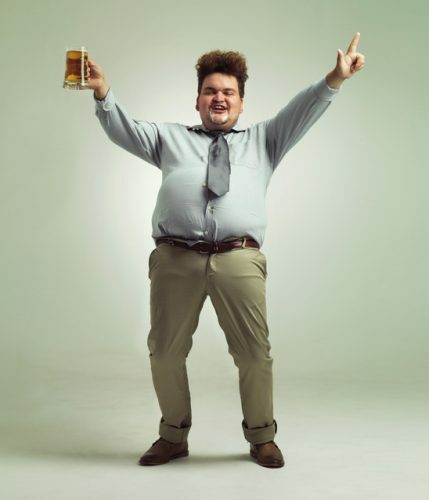 Alcohol consumption can result in weight gain because of decreased physical activity. Conversely an addiction to alcohol often results in malnutrition, causing the body to lose weight rapidly with dangerous consequences. Are all alcoholic drinks fattening? Yes, but to different degrees. One gram of alcohol contains 7.1 calories of energy. It stands to reason that the more you consume of these calorific drinks, the more likely you are to put weight on. The problem is that, with alcohol, the situation gets a whole lot more complicated. If you drink way too much, you will put weight on. However, red wine is a bit of a mystery because scientists have discovered that it can actually protect drinkers from gaining weight although nobody is quite sure why. Compared with most other developed countries, the UK has an obesity problem. In addition, there is also a trend among UK citizens to drink higher amounts of alcohol year and year. Various reasons are put forward for the reason why but many believe it’s a combination of the low historical price levels and its availability. Let’s say that someone drinks enough wine during the course of a month that it adds up to 2,000 calories on top of the calories they derive from their food. That’s more than forty-four thousand additional calories a year. That’s 104 bags of chips every year from the chippy. The question is – do calories derived from the consumption of alcohol do the same to your waistline as the calories you consume from other sources? All calories are not the same. For example, the body absorbs very few calories from fibre as there is a limit to how much it can digest. Therefore, fewer calories are absorbed and the rest is flushed out. Alcoholic drinks vary in their calorific value but the effect upon how your body metabolises other food after drinking alcohol remains the same. Therefore, there is little to be gained by selecting lower calorie alcoholic drinks in the hope of losing weight if the total amount consumed still falls within the definition of a heavy drinker. The key to controlling how much weight you gain as a result of alcohol consumption is to limit the amount that you drink each day. For males, no more than two drinks each day and not more than one drink per day if you are female. If you are young and active, you may not be gaining weight while still enjoying alcohol. You should be aware that this might be a temporary situation. Academic studies carried out on both adults and adolescents prove that ongoing heavy drinking results in weight gain, regardless of the age of the drinker. You may be able to drink alcohol and not gain weight or, if you do, you are still happy with your body shape. This does not mean that you are healthy inside or that you will never gain weight in the future without a change in your lifestyle. Apart from the damage caused by alcohol abuse alone to your body, obesity can present its own challenges to your health. The effects of alcohol abuse sometimes irreversible even when you have been successful in losing any excess weight. If you or someone you know is affected by the information in this article and wish to find out more contact us on 01923 369 161 or email us, info@Cassioburycourt.com.